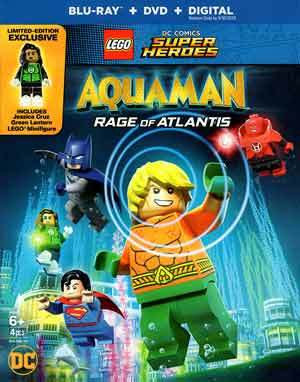 LEGO DC Comics Super Heroes: Aquaman: Rage of Atlantis is another fun entry in the direct-to-video line with a lot of the humor mostly working and some impressive animation for what it is. Plot Synopsis: Behold Atlantis, a kingdom of wonder and power beneath the ocean’s surface ruled by Justice League member and Atlantean Aquaman (DEE BRADLEY BAKER). With his beloved Queen Mera (SUSAN EISENBERG) and trusted half-brother Orm (TREVOR DEVALL) by his side, it seems like there is nothing that Aquaman cannot conquer. But when the Justice League’s trouble alert sounds, this water-dweller heads for dry land, where he is joined by Batman (TROY BAKER), Superman (NOLAN NORTH), Wonder Woman (GREY GRIFFIN) and rookie Green Lantern Jessica Cruz (CRISTINA MILIZIA). Faced with an extraterrestrial test that will threaten Earth and beyond, Aquaman finds he’s a fish out of water and a king with a crown. Quick Hit Review: I’m generally a fan of these direct-to-video LEGO movies, they tend to be funny and the animation, while not quite as high of a standard compare to its theatrical counterparts, is still well done. 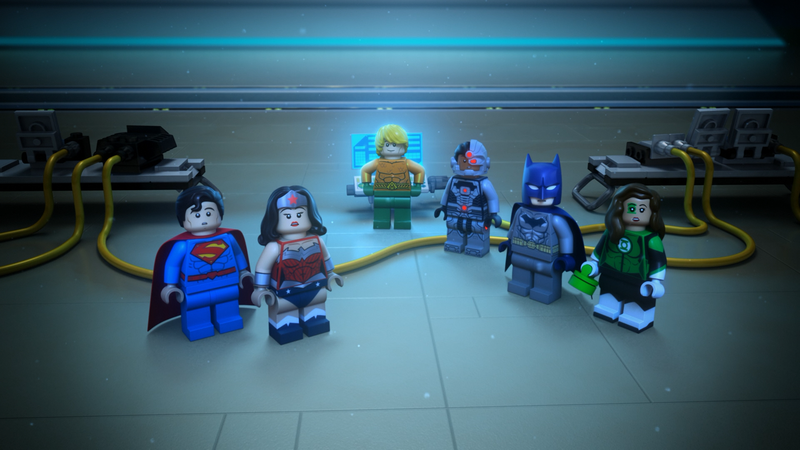 And LEGO DC Comics Super Heroes: Aquaman: Rage of Atlantis is another fun entry with jokes that mostly work and both pokes fun at the Aquaman character, which is hopefully to be redefined once the live action version comes out later this year, and give him a purpose after being considered the weakest link of the Justice League. I’m not going to say it Aquaman: Rage of Atlantis is on par with The LEGO Movie but for kids and adults alike, it serves its purpose as a nice way to spend 70-minutes. This two-disc release comes housed inside a box with a “Limited Edition Exclusive” of the Jessica Cruz Green Lantern LEGO Minifigure. Inside the case itself is a redemption code for the Digital HD copy. Otherwise, there are no bonus features. 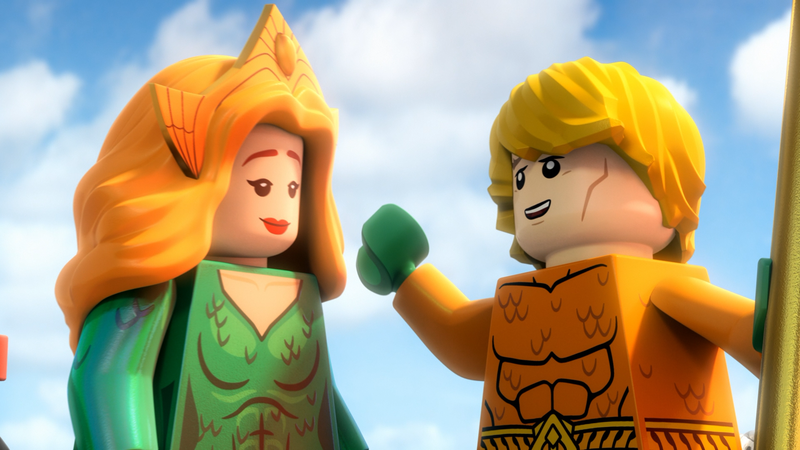 Aquaman: Rage of Atlantis is presented with a 1080p high-definition transfer and a 1.78 widescreen aspect ratio and colors, as you can imagine, are bright and detail pretty decent showing off the Lego pieces quite nicely. The disc includes your standard DTS-HD Master Audio 5.1 track which sounds perfectly fine though it does lack some depth during the action sequences in which not even the LFE channel really gets much usage. 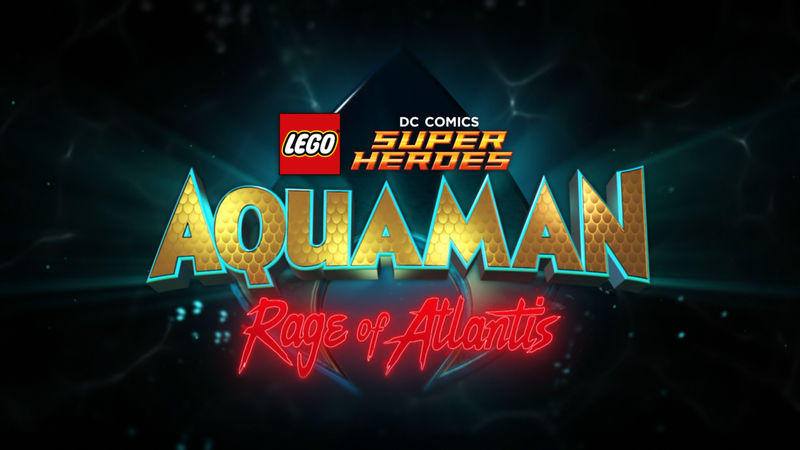 Overall, LEGO DC Comics Super Heroes: Aquaman: Rage of Atlantis is another fun entry in the direct-to-video line with a lot of the humor mostly working and some impressive animation for what it is. The Blu-ray released by Warner Brothers offers good video/audio transfers though sadly lacks any bonus material.